Tax Day is just a few days away. Whether you’re an early bird and submitted your information back in January or you’re a procrastinator and have yet to begin the filing process, chances are you’ve already thought about what to do with your refund. While some people will deposit their refund directly into their savings account, others will use it during an upcoming family vacation or shopping spree. Here at Alliance Aviation, we thought of another way to use your extra money from Uncle Sam — invest in commercial pilot training. Maybe you’re thinking to yourself, “Why would I spend my tax refund on aviation courses?” For one thing, you’ve had a lifelong interest in aircrafts and the aviation industry as a whole. Perhaps you also got your private pilot’s license at one point but want to turn your passion into a career. Alliance Aviation is more than just another flight school. We take pride in having educators who are not only professional but truly care about the success of their students. Then there’s the fact that all six of our facilities provide unparalleled access to type rating training, ATP-CTP test training, flight simulation integration, and other resources for students. Have you been searching for 737 type rating courses but don’t know where to start? Not to worry, as Alliance Aviation has you covered with this FAA-certified 7373 type rating recurrent training. The course includes an oral exam, four hours of ground school, an hour-long warmup simulator session, as well as three hours of full flight simulator check ride. Keep in mind that we built this course specifically for private and regional pilots looking to earn and maintain their commercial or cargo certification. At Alliance Aviation, we are proud to offer some of the best 737 recurrent training in the industry. Begin the process today and watch your career take flight. You’re ready to make the jump from private pilot to a commercial pilot for a major airline. It all starts with this 737 type rating initial course at Alliance Aviation. Those interested in enrolling must have at least a current commercial pilot certificate with appropriate category ratings and class ratings. Our 737 type rating FAA initial training includes 80 hours of ground school, eight hours of systems integration training, and 36 hours of full flight simulator training. Please note that some pilot requiring India DGCA approved training will be required to go through additional training. It won’t be long before you’re flying a 737 with an FAA type rating! Alliance Aviation also offers the A330 type rating course for the Airbus 330 aircraft. If you already have a current commercial pilot certificate with appropriate category and class ratings, you should be cleared for takeoff with this course. It’s important to know that completion of this A330 type rating initial course satisfies the requirement of 14 CFR 61.63 or 61.157 and India DGCA Approved. This particular course includes 80 hours of ground school, eight hours of fix base simulator time, and 36 hours with the Alliance full flight simulator. Our A330 type rating initial course is taught by FAA-certified instructors who not only have years of aviation experience but love passing their knowledge onto others. Enroll in this program today at Alliance Aviation. This just might be the most intensive airline pilot training program in the country. The Alliance FAA ATP-CTP program consists of high-altitude aerodynamics and maneuvering, low-visibility operations, multi-crew communications training, Aviation Safety Action Program, Flight Operational Quality Assurance, and more. Students should expect their training to cover aerodynamics, automation, transport airplane performance, professionalism, and leadership. As you can see, this program takes you through everything you need to obtain the FAA’s highest certificate. So if you’re ready to finally be at the top of the aviation industry, we recommend enrolling in the Alliance FAA ATP-CTP program. Why spend another year asking yourself “What if?” when it comes to a possible career in the aviation industry? Alliance Aviation can help you take the first step toward becoming a commercial pilot. 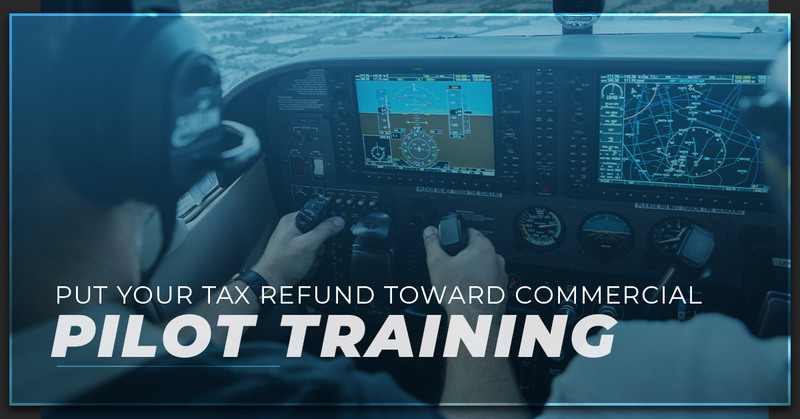 This tax season, put that refund to good use and enroll in one of our flight training programs.